With its unified powder cotaed frame and conveiant stackable armchairs for storage. 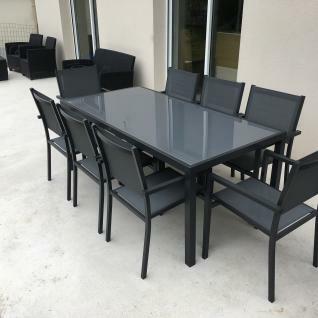 The Capua set is sturdy, its frame is made from aluminium, which is light and highly resistant to rain which enforces its durability. 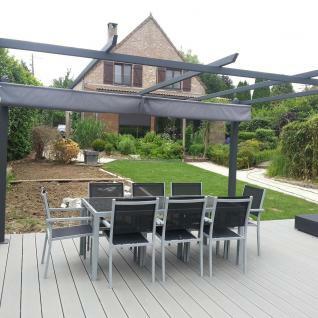 Textilene is the perfect material for exterior use, as it is unaffected by poor weather. The top of the table is made from 5mm-thick toughened safety glass. 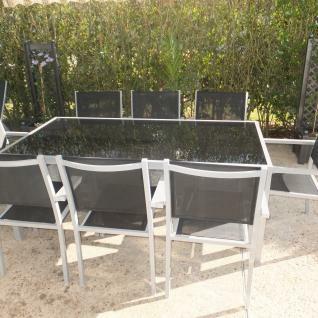 9 pieces; 8Armchairs,1 table with glass top.